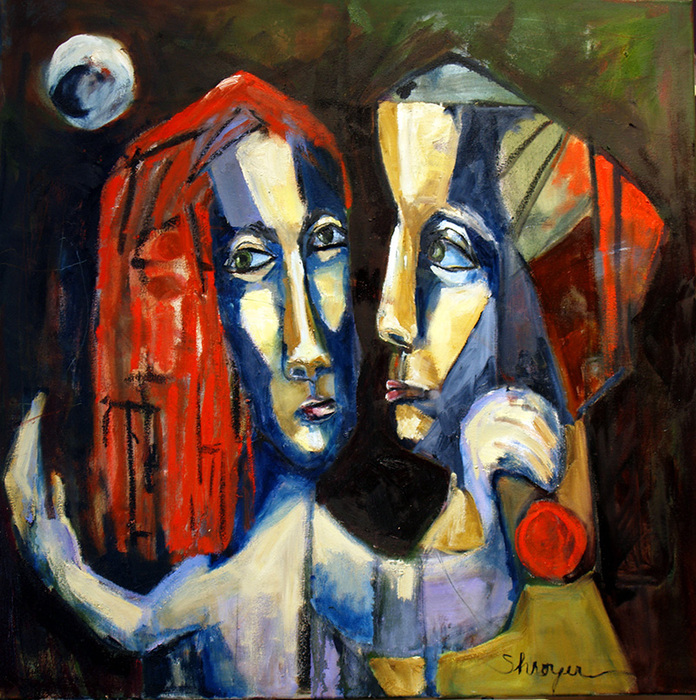 Charlotte Shroyer has received numerous national and international awards for her abstract and contemporary figurative oils and monotypes. The American Juried Art Salon comprised of museum curators and directors selected her work as one of 25 from hundreds of applicants for inclusion in its 2013 annual show in addition to naming her as one of its 2013 Emerging Artists. 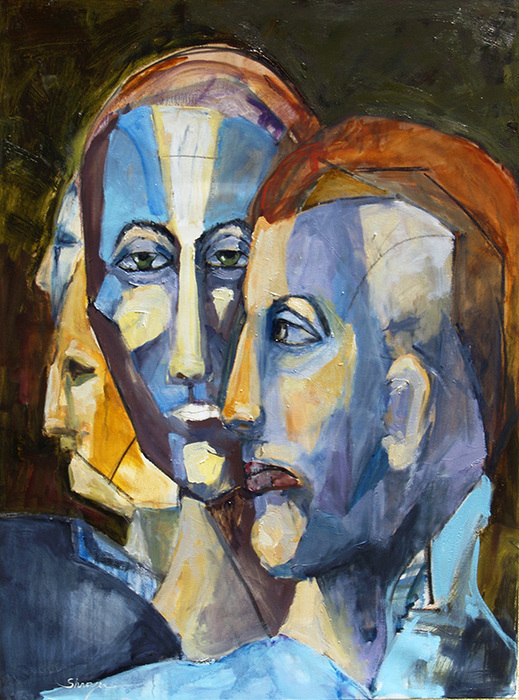 Other awards include First Place, 2011 Top Ten International Women in the Arts, Rome, Italy; Awards of Merit including 2013 Small Works, Manhattan Arts International; 2013 Richeson International Award of Merit for portraiture. In addition to juried exhibits in New Mexico, Shroyer has shown in juried shows in New York City; Harrisburg, PA; Naples, FL; Lexington , KY and others. Her monotypes have been exhibited in Hong Kong. Her work is included in national and international collections. Shroyer is represented in Taos by Jackies Trading Post Gallery . I have been intrigued by complexities of facial contours and what they reveal about the inner mind. The novels of Pamuk, a prize winning Turkish author, Pynchon, the author of <u>Gravities Rainbow</u>, and Vargas LLosa, Nobel Prize winner, have fueled my desire to know more and to represent on canvas the mysteries of face and mind. 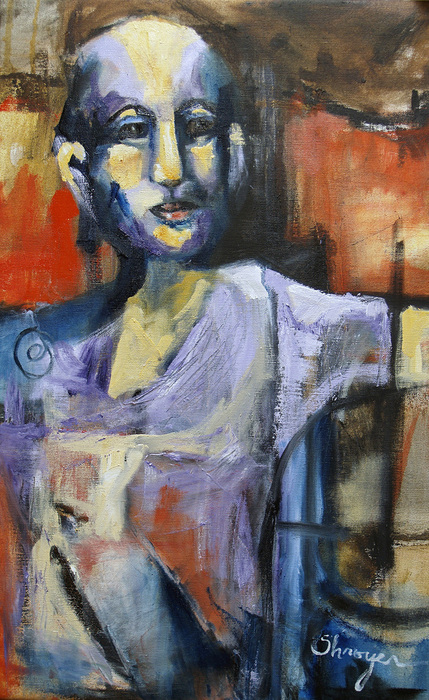 Each painting has its own character or characters adding to this exploration. Oil on Canvas, 22" X 14" The Buddhists seem to masters of the mind. Peace, quiet, and the ability to go deep within are all part of the mastery of mind with meditation as a way to get there. This figure just happened to appear on my canvas. Was there a message in his appearance?????? 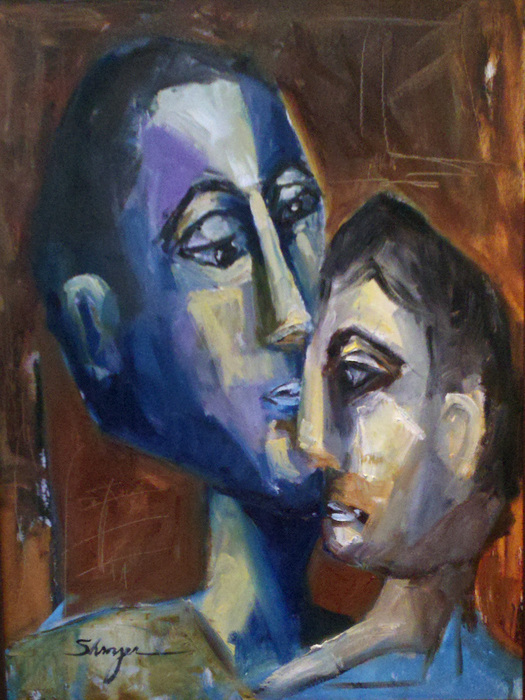 Oil on Canvas, 48" X 36" I like to play with figures in ways which encourage people to ask questions. How many times have I been asked the reason for the title. And then once the patron looks further, he lets out an "aha." The fourth figure has made its presence known. Oil on Canvas, 36" X 36" So many ways to find balance in life and in this painting: balance of line, vertical, horizontal, and diagonal; balance of color; male/female balance, and more.